A Columbia native, Dr. Davis grew up in the Midlands where medicine has always been a part of his life. His father, Dr. Daniel W. Davis, is a retired surgeon after practicing for 48 years in Columba. Dr. Davis’ brother, Myles Davis, is an OB/GYN with Columbia Women’s Healthcare in Columbia. In 1984, Dr. Davis graduated from the University of South Carolina and chose to further his education at the University Of South Carolina School Of Law. He received his Juris Doctor in May 1987 and practiced law in Columbia for several years. He continues to be a member of the South Carolina and Georgia Bar. A few years later, Dr. Davis returned to school to pursue his love of medicine—receiving his Medical Degree from the Medical University of South Carolina in 1995. Dr. Davis’ post-doctoral training included a surgical internship and residency at Atlanta Medical Center in Atlanta, Georgia. He was Chief Resident of General Surgery in 2000 and went on to continue his training as a Plastic Surgery Resident and Chief Fellow at the Medical University of South Carolina. 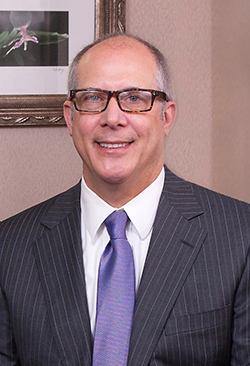 Dr. Davis completed his fellowship in 2002 and is board certified by the American Board of Plastic Surgery. Later that year, Dr. Davis and his family returned to Columbia to start his private practice—Donen Davis Plastic Surgery, LLC. Patients often speak of Dr. Davis’ unique focus and genuine concern for the needs of each individual. He and his staff are dedicated to nurturing each patient relationship with attentiveness and understanding, while also sharing excitement in attaining ones’ cosmetic surgery goals. Dr. Davis is past Chief of Staff for Palmetto Health Baptist Medical Center and is past Chairman and current Committe Member of the Credentials Committee for Palmetto Health Baptist Medical Center. Dr. Davis also serves on the following committees: Palmetto Health Surgical Services, Palmetto Health Department of Surgery, Palmetto Health Credentials Oversight Committee, Intermedical Hospital Medical Executive Committee and the South Carolina Medical Association Interspecialty Council. He belongs to and is an active participant in the Palmetto Health Baptist and Palmetto Health Richland weekly Breast Cancer Conferences. Also active in his community, he is on the Foundation Board of The Township. In his free time, Dr. Davis enjoys spending time with his wife and two sons. You’ll often find them participating in the Boy Scouts of America activities, hunting, travel and playing tennis.